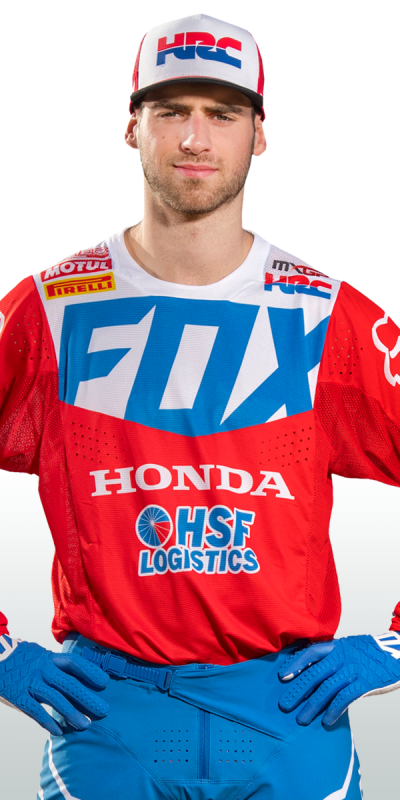 Team HRC and Tim Gajser started off the 2019 MXGP world championships with a second overall at the picturesque Villa La Angostura track in Patagonia-Argentina. With a packed crowd showing their appreciation, Gajser led part of the second race as he looked on course for an overall victory. In the end, he had to settle for a pair of second place finishes, but it was an extremely impressive opening round for the Slovenian rider who has won at this track twice before. Rounding the first turn outside the top five in moto one left Gajser with plenty to do, but he eventually settled into a rhythm and began to pick off riders one by one as the laps ticked off. With just five laps remaining he eventually made the pass on Romain Febvre for second and set about trying to track down Antonio Cairoli. Unfortunately time ran out before he could really mount a challenge and he crossed the line just over five seconds behind. 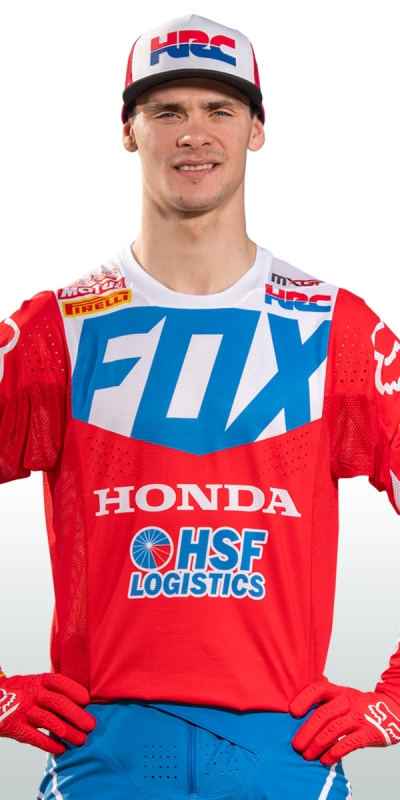 It was also a solid first round for fellow Team HRC rider Brian Bogers, who is easing himself back into this competitive MXGP class, after missing almost the entire 2018 season with injury. Bogers is hoping to get up to race pace as quickly as possible and felt that today was positive step towards that goal as he achieved two top 20 finishes. I’m really happy to start the season strongly with a podium, and to feel really good on the track. In the first race I didn’t get the best of starts and it took me a couple of laps to find a good rhythm and to find the nice lines but once I did that, I passed a lot of the guys in front of me and finished in second. That was a great way to start the season off. Then in second moto, it was even better as I almost took the holeshot and I led for a lap but I was riding tight and not enjoying my riding so Romain (Febvre) and Toni (Cairoli) passed me. After this, I found my rhythm and found the flow around the track and was able to move into second and just start enjoying riding again. Two second places is a good start to the season and I’m really looking forward to the next races. A big thanks to the whole team around me, who help me out and put together this amazing CRF450RW. I felt pretty good today and it was better than yesterday so that was positive. I feel like I need a lot more of the race rhythm after being out for such a really long time. However I think I will get it back quickly and already the second moto was better than the first, even though I was 17th compared with 16th. The goal was the top 15 for this weekend and I think it was close to that with two solid motos with nothing strange happening, so I’m pretty happy with this weekend and it’s nice to know where I am now and where I need improve from here. A very positive day for both Tim and Brian. It was great to see Tim lead the qualifying race and part of the second moto today, and to just see him riding to his true potential. 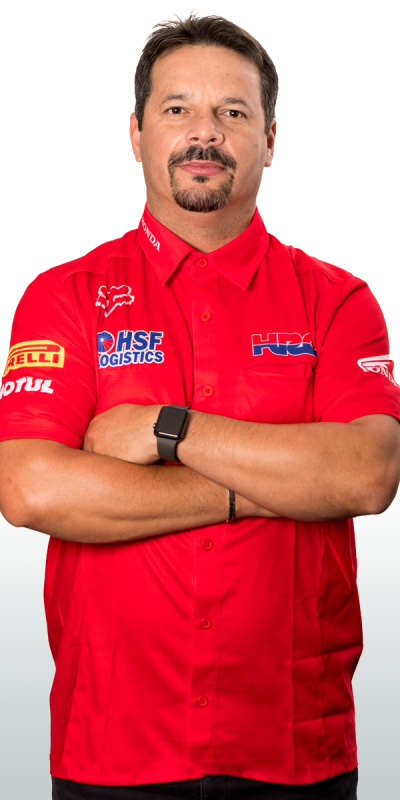 Already he showed that the Honda CRF450RW is very fast out of the gate and has the speed to lead the best riders in the world, and to leave here in the championship hunt is exactly what we hoped after the first round. And for Brian, it was good to see him ride well for two complete races and just to see him battling for positions in this MXGP class. He now knows what he needs to work on and I expect him to improve every round, as he gets more and more experience racing the 450cc machine.